The success of America’s first ever plant-based burger joint is no accident, says its founders. When Matthew and Cierra de Gruyter opened Next Level Burger (NLB) in 2014 neither had ever run a restaurant before. But five additional restaurants later, with plans to open many more, they're willing to give a lot of credit where they think it's due: their decision to go with burgers. We chose the burger to promote plant-based food because it "is approachable to everyone," Cierra told Nil Zacharias on #EatforthePlanet. Matt. Customers lined up to try the burger patties made with sustainably sourced umami mushrooms and quinoa, a long list of soy and coconut-based shakes, and more. Investors also took note. One of them, Alex Payne, an original founder of Twitter, played a key role in opening NLB’s second site in Portland, Oregon, which drew an even bigger crowd of followers. Matt and Cierra chose a good time to begin their plant-based venture. Some 38% of Americans are now renouncing meat at least one day a week, says the Institute of Food Technology. People are increasingly open to alternatives, thanks to the negative environmental impact of meat, concerns about farm animal welfare, and health worries - a taste for meat has been linked to high rates of cancer, diabetes, and obesity, among other problems. Matt and Cierra, who adopted the slogan "Burgers for a Better World," join a growing number of entrepreneurs working to replace the standard climate-unfriendly burger with something much better. At startups like Beyond Meat and Impossible Foods, this new breed of producer is looking to replicate “the full consumer experience of conventional meat products,” explains Liz Specht, a scientist at the Good Food Institute, a nonprofit that supports plant-based ventures. 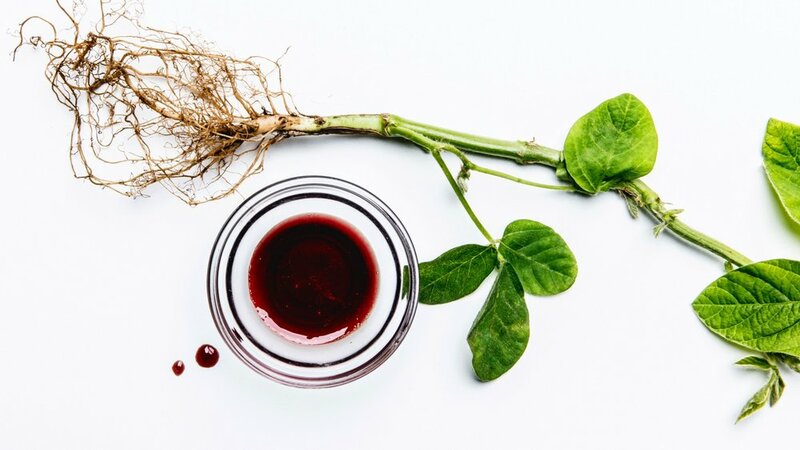 So Beyond Meat, which is backed by investments from Bill Gates and Leonardo DiCaprio, invented a burger that bleeds beet juice. At Impossible Foods the secret to a sizzling plant-based burger is an oxygen-carrying compound called heme, which is uniquely abundant in meat and deeply satisfying to the human palate. Enticing Americans to leave behind the traditional burger could have huge benefits for the world. Removing beef alone from our diet could slash our carbon footprint and enable us to achieve between 46 and 74 percent of the reductions needed to meet the 2020 carbon emission goals pledged by President Obama. It would also save vast amounts of water since producing a pound of beef uses more than 1,800 gallons per pound. And it would free up 42 percent of the cropland now used to feed cattle. 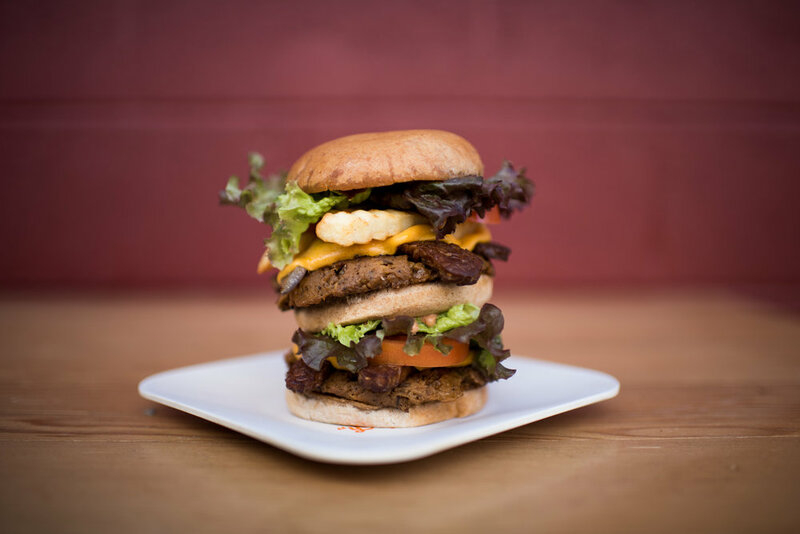 With many Americans increasingly making the choice to eat out, places like NLB have the chance to introduce plant-based options that are hand-crafted, classically comforting, and easy to customize, like “The Signature Burger.” The bestseller is made from scratch with a clean list of ingredients, including umami mushrooms and quinoa, and topped with sliced avocado and roasted garlic thyme mayo. “There are people across this country that need Next Level Burger,” Matt says. And he, along with other alternative burger fans, believe the planet needs them, too. Takeaway: NLB is expanding rapidly and might just crop up in a city near you. Or you can search for the Impossible Burger. The startup is experiencing rapid growth and moving into gourmet restaurants as well as into classic mainstays like White Castle. The Impossible Slider is now available in 140 White Castle locations throughout New York, New Jersey, and Chicago. If it proves to be a success, the chain plans to expand the offering to all 380 of its locations. Want to cook up one these new options? Try the Beyond Burger, and make sure to serve it with your favorite toppings.